Winter wonders: I previously published a 2-part post containing dozens of photos of winter scenes from Greece — pictures that had been shared on social media after severely harsh northern weather systems brought freezing temperatures and snowfalls to many parts of Greece, including islands, the Peloponnese, and the mainland. Dozens of winter scene videos have been published online, too, and in this post I’m sharing some of the many films that I have enjoyed watching. On this page you’ll find films showing breathtaking aerial views of snowy Athens, Kastoria, Kavala, Ioannina and Nafplio. The videos on page 2 feature stunning storm and après-snowfall scenes from Alonissos, Skiathos, Skopelos, Sparta, Thessaloniki, Volos, Evia, Chios, Crete, Naxos, Lake Plastiras near Karditsa, and more of Athens and Nafplio. International news reports about the snow and cold weather that struck Greece and other European countries earlier this month, along with the scores of snow photos and videos shared on Facebook, Instagram, Twitter and YouTube, have surprised many people around the world who don’t realize that Greece gets winter weather, too. While the winter scenery in these videos is amazing to see, it simply confirms that Greece looks marvellous and is well worth visiting even in the off season. The island and mainland landscapes, the historic ruins and monuments, and the cities, towns and villages are breathtaking all year long. 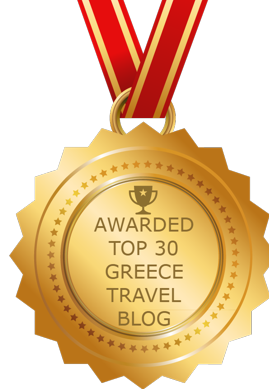 If you can’t make it to Greece in spring, summer or autumn, why not consider a winter trip? You’ll find the scenery is just as lovely as it is in peak travel season, the locals are warm and friendly, and best of all — there are no crowds. Please click on the link below to view more videos on page 2 of this post.